Lou Brzezinski, a lawyer at Blaney McMurtry LLP who represents some suppliers, said in an interview he plans to challenge the $1.9-billion and other inter-company claims. As well, he will seek to have the $1.9-billion claim subordinated behind other unsecured creditors’ claims, he said. 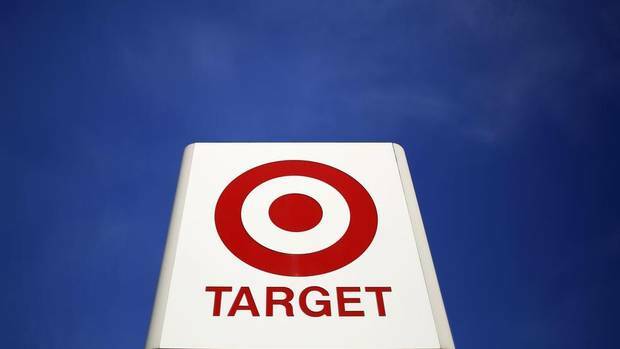 At the start of the insolvency process, an affiliate of parent Target Corp. agreed to subordinate to other unsecured creditors $3.1-billion it is owed by Target Canada. But it has not said it would subordinate the $1.9-billion claim to other creditors. An Ontario court has put a spotlight on a controversial $1.9-billion debt that insolvent Target Canada says it owes its own property company – and which other creditors fear will “swamp” their own claims. Justice Geoffrey Morawetz told Ontario Superior Court on Thursday it will seek an open and thorough review of the $1.9-billion inter-company claim – and all other ones – by the court-appointed monitor. “I agree this has to be a very full, transparent process, not run by Target Canada,” Justice Morawetz said after a lawyer for some suppliers warned the $1.9-billion claim could overtake others. The fight over the $1.9-billion claim comes as creditors race to try to recover what they can in the retailer’s insolvency process, which has left suppliers alone with an estimated $400-million of claims. Target Canada, a division of Minneapolis-based Target Corp., filed for court protection from creditors on Jan. 15, saying it would close all its 133 stores by mid-May. In the bankruptcy process, the $1.9-billion inter-company claim makes Target Canada’s property firm the chain’s single biggest creditor so far, threatening the recoveries of others. Still, the $1.9-billion claim will not be the only intercompany claim to surface in the insolvency proceedings, a lawyer for Target Canada said. Tracy Sandler, partner at Osler Hoskin & Harcourt LLP which represents Target Canada, said in a court document the monitor will file a report outlining the nature and amounts of all inter-company claims as part of the wider process. At that point, all stakeholders will be able to respond, she said. She disagreed with some suppliers’ contention that the $1.9-billion claim changes the landscape of the insolvency proceedings. She said Target Canada had called out in its initial filing that there would be an inter-company claim tied to its property company. Lou Brzezinski, a lawyer at Blaney McMurtry LLP who represents some suppliers, said in an interview he plans to challenge the $1.9-billion and other inter-company claims. As well, he will seek to have the $1.9-billion claim subordinated behind other unsecured creditors’ claims, he said. At the start of the insolvency process, an affiliate of parent Target Corp. agreed to subordinate to other unsecured creditors $3.1-billion it is owed by Target Canada. But it has not said it would subordinate the $1.9-billion claim to other creditors. In court on Thursday, the judge agreed the monitor will prepare a report when all the inter-company claims are submitted for court approval. “The creditors will have an opportunity to seek any remedy or relief with respect to the inter-company claims,” the court said. The judge also approved a deal to sell leases of 11 of Target Canada’s best stores to two of its biggest landlords, Oxford Properties Corp. and Ivanhoe Cambridge Inc. They are owned by two of the country’s largest pension plans. The court agreed to keep secret the sale price, but the monitor and Target Canada said the leases were sold at a “premium” price in a transaction that would benefit creditors. The sale of the leases triggered the $1.9-billion claim as Target Canada moved to end its agreement with its property company. It oversaw the retailer’s store renovations and paid their rent. It would appear that Target Canada, Target's parent company in the US, and their management in Canada and the US may have committed the Criminal Code offence of False Pretence under section 362. (1) of the Criminal Code by knowingly placing orders for goods when they knew they were not going to pay for the goods. Is the RCMP paying attention ? Pointed that one out about a month ago. It is also an offence under the Bankruptcy Act to plan or structure a bankruptcy although technically this is not a bankruptcy. It would be appropriate for the court to review Target Corps security it holds over Target Canada to determine if it is enforceable in the event of a bankruptcy. If not then the court should overturn the C.C.A.A. filing and adjudge it bankrupt. This could be why they perverted the C.C.A.A. filing for a company that is insolvent and ceasing operations. I don't get how this is a CCAA filing (reorganization) and not a straight up bankruptcy? I don't understand why the 1.9 billion owned to the parent company counts at all. Parent company - target right - made the move to try Canada. Well, they failed, they should get NO money back. What am I missing, or am I just the honest person in the room? I saw on Citynews Sunday night that Target raised prices (they put a new label over the old one on shelves) before the discounts were applied. More reason to say Good Riddance to this retailer. This is the new business model: Corporate Speculators who overreach.Governments who give them a free ride.And tax payers are always on the hook for mess.CEO will get bonus-you watch. Tax payers aren't on the hook, it's suppliers. Shareholders did OK as share price went up on the news Target was shutting down Canada and you're correct, the CEO will get a bonus. I would expect that some suppliers also sell to Target US. I'd put them on COD, no ethics here.